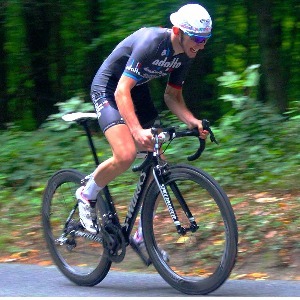 I am a London-based cycling coach who works with athletes who really want to get the most out of their training time. My coaching is based at Cadence Cycling Performance Centre in Crystal Palace; home to all things cycling! I specialize in using data to inform and prescribe training, using my background and current work in sports science to fuel this. I am working towards a PhD at the University of Kent investigating the determinants of variability in training response. ​I hold a Master’s degree in Sports Science from the University of Kent, where I investigated endurance cycling performance and training response. I am currently working towards a PhD specializing in the individualisation of training prescription​s. I apply my scientific knowledge to help riders improve their performance​, which is really great! Regarding my own cycling, I come from a road racing background, competing in regional, national and overseas competitions and riding for Adalta RT. Success. Coach Ciaran O'Grady has been notified of your message.